While no one will argue that updating or remodeling your kitchen will add value to your house, there are plenty of homeowners who end up spending more money than they need to by replacing perfectly good cabinets. By refacing your kitchen cabinets, you can save both time and money. When it comes to refacing, we are really talking about two different kinds of refacing- simply painting over the existing cabinets, or actually stripping the stain/paint and replacing the doors and hardware. To replace your kitchen cabinets, you can spend anywhere from $10-20,000 for name brand cabinets, or $2-5,000 for (RTA) Ready-to-Assemble cabinets (depending on the size of your kitchen). Refacing your cabinets could cost as much as $5,000 on the high end to strip the cabinets and replace the doors, or as little as $3-400 for paint to just give the cabinets a fresh look. 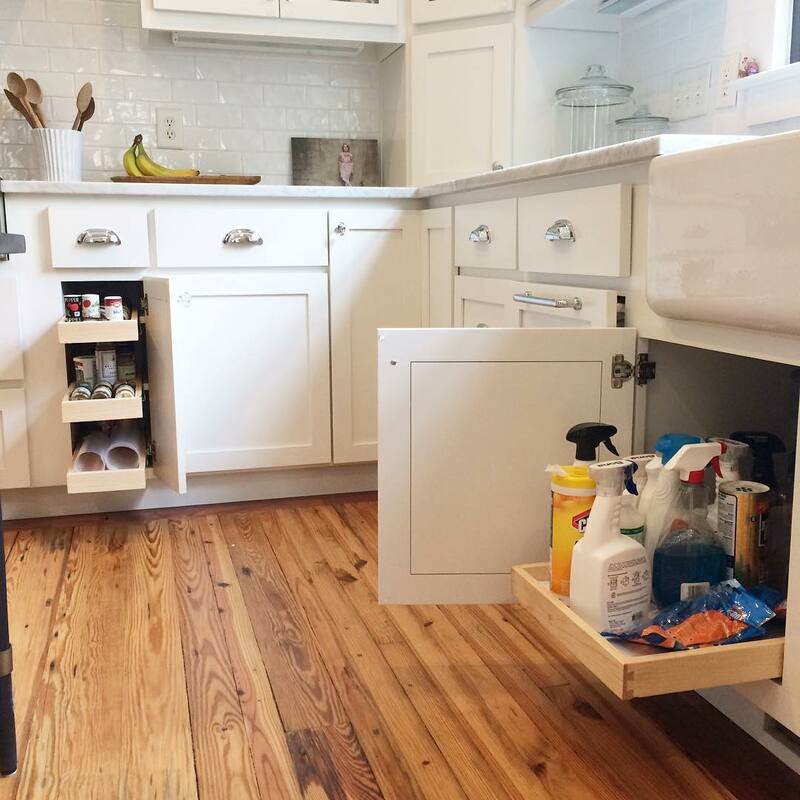 When it comes to deciding whether or not to replace the existing cabinets, it will come down to what the cabinets are made of, the current condition of the cabinets and the look that you are going for. Construction of the cabinets– depending on when your house was built, if you are dealing with an older home, odds are your cabinets are made of solid wood vs particleboard or plywoood, which is what the newer cabinets are made of. Most name brand cabinets use particleboard or fiberboard for the sides of the cabinets. (RTA) Ready-To-Assemble cabinets typically use plywood for the sides of the cabinets. If your current cabinets are made from solid wood, it would be foolish to throw them out if you can simply reface them and get the same look you would get from new cabinets. Condition of the cabinets– even if your cabinets are made of solid wood, their condition may not be conducive to refacing. Check the face frames to see if there is any splitting in the wood where the hardware would go, and check the joints to see how they are holding up… not all solid wood cabinets were built to the same standards, especially in really old homes, where the cabinets were probably built on-site specifically for the house by a carpenter. Check the drawers to make sure that they are sturdy as well. Overall Look of the Kitchen– If you are for a modern look, odds are you will not be able to reface the old cabinets and get the look you are going for. In a lot of cases it will come down to the overall style that you are going for. If it is a rental property or you are flipping a property, simply painting the cabinets can make a world of different in creating a fresh, updated look. If you don’t like the lines of the cabinets or the stain on the cabinets, and you don’t like the look of painted cabinets, then replacing the doors and adding a veneer of wood that you can stain may be the way to go. If you are moving appliances around or plan on opening up some walls, then saving the cabinets may not make sense. If you decide that refacing your cabinets by replacing the doors and veneering the rails and stiles is the way to, then we have pulled together an easy guide to make your project successful. This is a two or three day project, so plan on spending your entire weekend on this project!